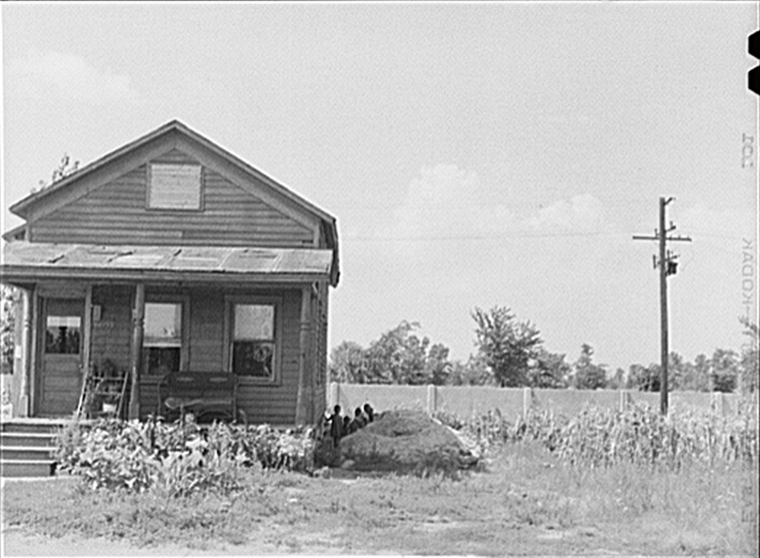 John Vachon, house in front of half-mile concrete wall erected to separate a new whites-only housing development from an existing African American neighborhood nearby, 1941, Detroit. Courtesy of the Library of Congress. A Nation of Walls investigates the history of segregation walls in the United States. 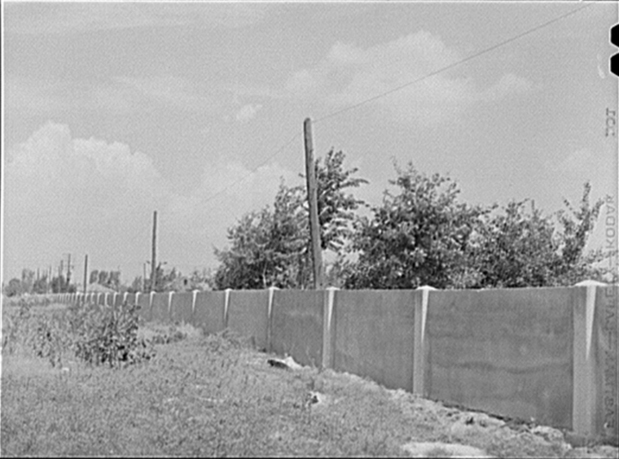 Primarily built in the mid to late 1930s, these walls were constructed by developers and city officials throughout the country to separate black and white neighborhoods. They were meant to not only appease white residents who objected to having African American neighbors, but also to reassure Federal Housing Administration (FHA) appraisers, who deemed areas in proximity to black neighborhoods undesirable and ineligible for loans and mortgages. 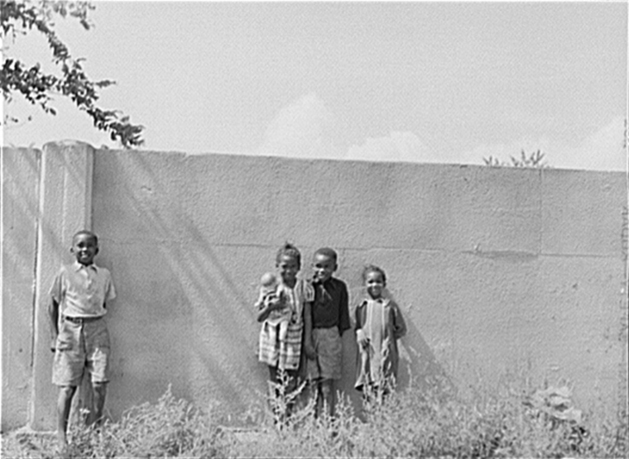 From Miami to Detroit, remnants of segregation walls are scattered throughout the country to this day, yet there is no comprehensive study of them. This project maps the history of these walls, and identifies where there are still fragments visible. Being an overt reminder of how racism and real estate interests have shaped this country, these segregation walls are a potent entry point to discuss issues of race, capitalism, and spatial politics today. Chat Travieso is an artist, designer, and educator. His work considers ways to rethink and transform spaces and objects, which divide into radical meeting places that reinforce social bonds. His work has been featured in the New York Times, the Wall Street Journal, the Atlantic's CityLab, and BOMB Magazine. His artist residencies include those at the New York Studio Residency Program, Lower Manhattan Cultural Council (LMCC) Process Space, and the Smack Mellon Studio Program. He is the recipient of a New York State Council on the ARts (NYSCA) Independent Project Grant; a USA YoungArts Fellowship in Architecture and Design; a New York Community Trust Van Lier Fellowship, as part of his Smack Mellon residency; a Community Arts Fund Grant and a Brooklyn Arts Fund Grant from the Brooklyn Arts Council; a Jack Kent Cooke Graduate Scholarship; and the Matthew J. Quinn Prize, from the Jack Kent Cooke Foundation. He received a BFA from the Maryland Institute College of Art and an MArch from Yale University’s School of Architecture.